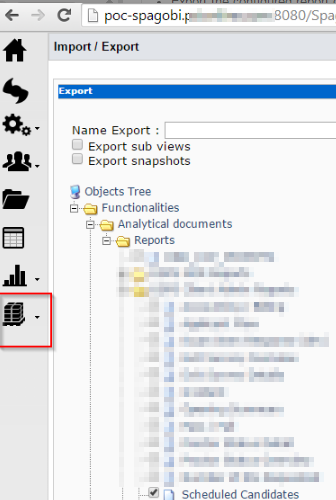 Step-by-step instructions for Exporting a report document from one server and importing into others. 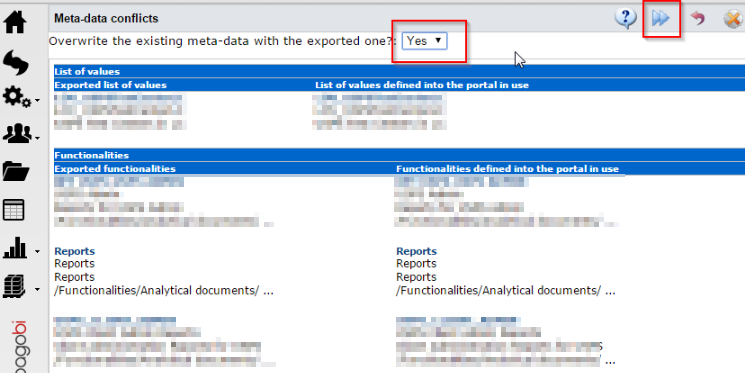 Then, select the documents you want to export. This file must have the exact same name when you import into another SpagoBI Environment. 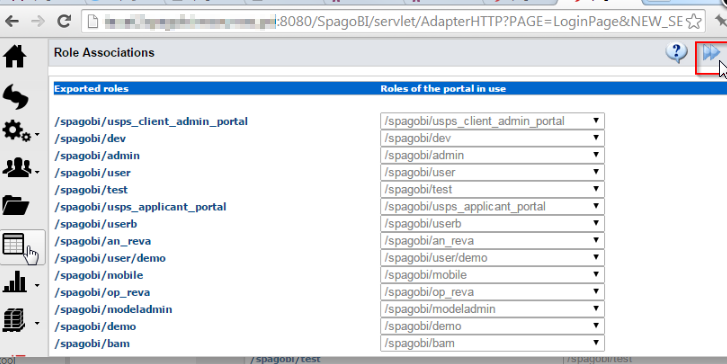 The zip file of the exported document can now be imported into multiple SpagoBI target environments. In most cases, the names should match exactly. If they don’t match, you may have a problem. The below screenshot is probably not so helpful. Note: This will overwrite LOVs, ADs, and these reports in the target tenant. Are you sure you want to do this? 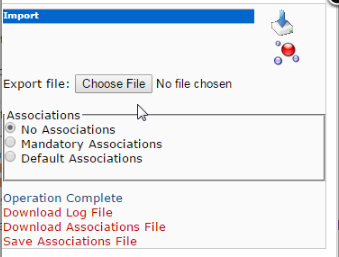 Interested in Automated Deployments of an Exported Document? Would you be interested in programmatically deploying an exported SpagoBI document to other SpagoBI environments? Hi, this post was really very helpful. But i have an issue that how to import a cockpit , while i am going to do that after importing document i am getting documents as Report. i changed the type manually as Cockpit and set engine as Document composite engine. still i could not see anything on screen , its showing blank. Unfortunately, I have no experience with importing and exporting cockpits. I am unaware of whether that is supported. If the Cockpit shows as available for export, try exporting it. Then, download that zip file and see if you can import an cockpit. 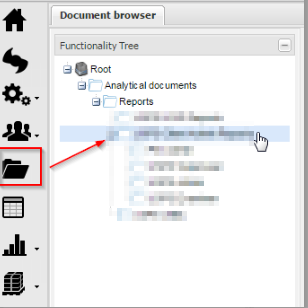 The importDocuments functionality reference may be helpful, as well. I tried to export but the download link doesn’t appear. Anything I have done wrong? If you followed the steps above but the Download link never appeared, look at the SpagoBI Server logs. There may have been an error during the export process.